Here’s a blast from the past: 54 years ago on January 31, 1958, Explorer 1 was the first satellite sent into space by the United States. The U.S. Army Ballistic Missile Agency was directed to launch a satellite following the Soviet Union’s successful Sputnik 1 launch on October 4, 1957. The 13-kg (30-pound) Explorerer satellite was launched by 3-stage Redstone missile. This newsreel footage also includes a famous scene where Werner von Braun and scientist James Van Allen lift a model of the satellite triumphantly above their heads. 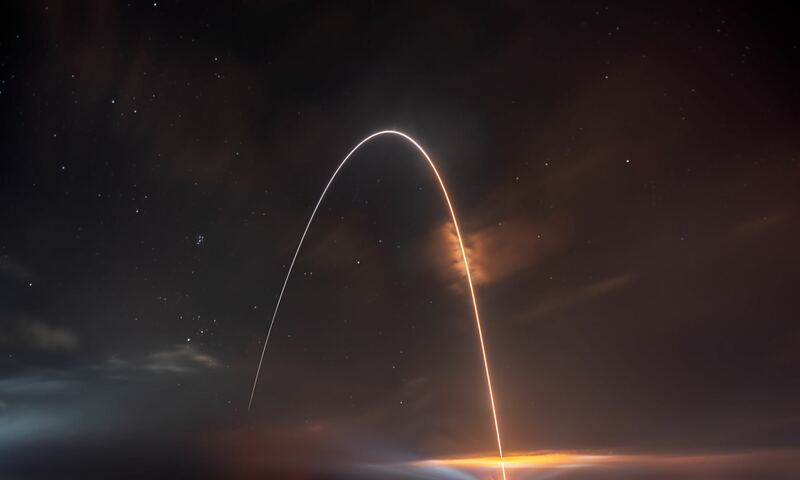 The Jet Propulsion Laboratory received the assignment to design, build and operate the satellite and they completed the job in less than three months. The primary science instrument on Explorer 1 was a cosmic ray detector designed to measure the radiation environment in Earth orbit. Designed by Dr. Van Allen, the instrument revealed a much lower cosmic ray count than expected. Van Allen theorized that the instrument may have been saturated by very strong radiation from a belt of charged particles trapped in space by Earth’s magnetic field. The existence of these radiation belts was confirmed by another satellite launched two months later, and they became known as the Van Allen Belts in honor of their discoverer. See our other article published today about the latest findings on the Van Allen Belts. More info on Explorer-1 from NASA. Does anyone remember all the photos and film of U.S. launches exploding month after month after month? And does anyone remember wondering why the US Army, US Navy AND US Air Force all had COMPETING space programs? Where in the film does Werner von Braun and scientist James Van Allen lift a model of the satellite triumphantly above their heads? I’ve viewed the video numerous times and haven’t seen it!